General Philip Breedlove, NATO’s top commander in Europe, has proposed that the Polish city of Szczecin expand its existing base to help the military alliance respond faster to any threat posed by Russia. According to the Atlantic Council, a Washington-based think-tank close to NATO, Britain and other NATO allies backing the general’s plans to place supplies — weapons, ammunition and ration packs — at a new headquarters in eastern Europe, to enable a sudden influx of thousands of NATO troops to be ready for action in the event of a crisis. Reportedly, a number of NATO bases are being considered for the role but the leading contender is Multinational Corps Northeast, in Szczecin, Poland. 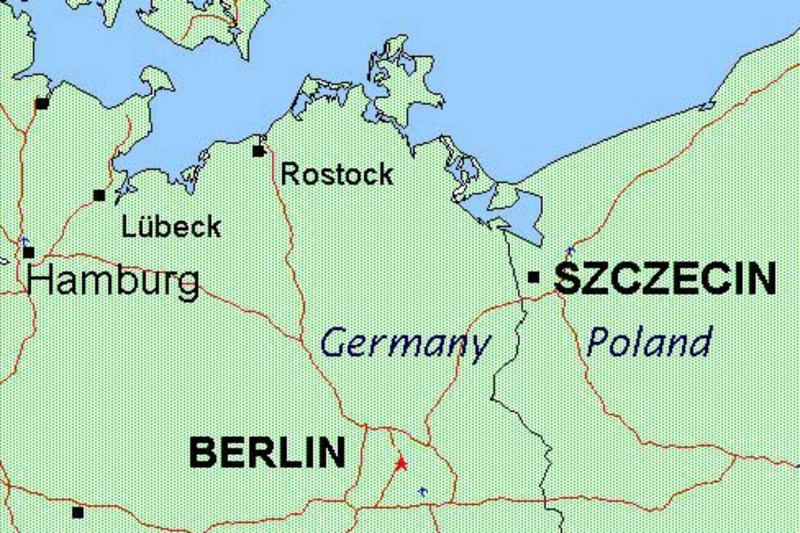 Multinational Corps Northeast was formed in 1999 at Szeczecin as the only multilateral corps of NATO so far, consisting of Polish, German and Danish divisions. General Breedlove “wants to use an existing headquarters in the NATO structure and focus them fully on the Article 5 mission”, an alliance source quoted by the Atlantic Council said, referring to one of the founding principles of NATO — that an attack on one is an attack on all. “It would be a 24/7 fully functioning headquarters that forces could quickly fall in on to respond rapidly when needed,” the source said. The general told a briefing in Naples this week that NATO needed “pre-positioned supplies, pre-positioned capabilities and a basing area ready to rapidly accept follow-on forces”. “The Russians have decided that they are willing to use force to achieve their aims […] and that breaks with 25 years of building a security structure in Europe built around certain fundamentals,” a NATO official is quoted as saying. I fear what I hear but as I posted without an adequate E.U. army ! However only thousands of Nato-troops from three member- states (Polish, German and Danish ) wouldn’t handbrake Russia from grabbing more European soil at all ! Merely Rasmussen and E.U. leaders slept over all that time…. whilst Russia and other greater continents arm up their military assets ! We indeed need an united EU army. It’s simply impossible to defend the Europe against any big threat with 28 separate midget armies. NATO does not have an Article 5 obligation to Ukraine under which NATO allies are obliged to provide collective self-defense. The Russians don’t want anymore European soil that doesn’t have gas and or oil reserves. That’s what this entire Ukraine thing is all about. NATO’s top mission is to secure world energy supplies. The man that controls the world’s energy controls the world. Ukraine is sitting on energy reserves, that by some estimates, are equal to Qatar and those fields are in Crimea/Black Sea, northwest Ukraine, and east Ukraine where all the fighting is taking place. Please tell me you didn’t think this conflict was about Freedom and Democracy, Mom, Borstch, and Buckwheat Pie. Russian imperialism, Ukrainian will for the European future, control of the Black sea and many other big and small things. And freedom and democracy are not the least important ones.